Now a battle-tested staple, the combat shirt didn't exist until the early 2000s. It was developed as part of an Army initiative known as the Objective Force Warrior program. The program aimed to find innovative solutions to soldiers' uniform and equipment issues. 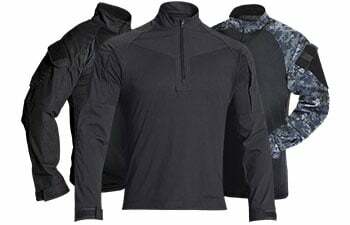 One of its main accomplishments was the lightweight, moisture-wicking combat shirt. 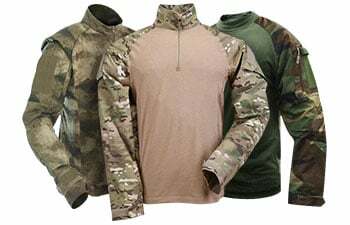 The aggressive camouflage sleeves still offer maximum durability and concealment, but the torso is made from breathable, thin material that keeps you cool and comfortable. 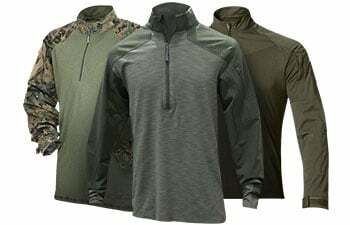 The modern combat shirt boasts the same design in a multitude of colors and styles. 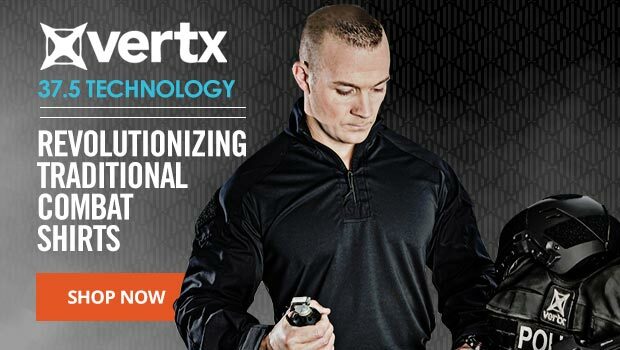 There’s no need to sacrifice functionality for comfort with our combat shirts. The shirt has everything you need and nothing you don't. Definitely nice to get rid of all that Velcro and zipper found on ACU/TRU. Fit is true to size. I'm right between Medium and Large so got one of each. Medium for warm weather and Large for cold (layers). Shirt is markedly more comfortable than ACU/TRU, espescially in warmer conditions. Fabric is not as stiff and breathes well. Time will tell how durable and colorfast it is. The AUx and FGx are a definite improvement over the old patterns. Better colors and breakup. ATACS has done a great job in designing a new family of patterns. They integrate well with each other, are very effective, and (IMO) look good as well.